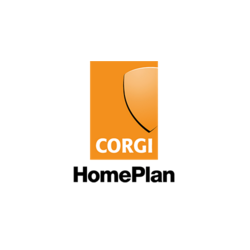 Shopping the easyfundraising way with CORGI HomePlan, could not be easier. Follow the instructions below, and create an account today to start supporting a cause or charity of your choice. Save money and get free donations! Right now CORGI HomePlan has these great deals for easyfundraising shoppers. Just click through to CORGI HomePlan using the buttons below, to make sure your donations are tracked when you shop. Building on heritage of safety and reliability, CORGI HomePlan launched in 2011 to provide expert assistance for boiler, central heating and home emergencies. We're the UK s Top Rated Boiler and Home Emergency Provider*, join us today and you can benefit from: Cover for your boiler, central heating, plumbing, electrics and more Annual servicing Parts, labour and unlimited callouts included Nationwide Network of over 4,000 engineers UK call centre and 24/7 emergency callouts Conditions, exclusions and cancellation charges apply. No claims can be made in the first 30 days *Based on Trustpilot rating 02/01/19. Compared against main competitors.